Gone from our earthly world, but forever in our hearts, until that glorious day when we meet again and I can scoop you up in my arms and carry you across that rainbow bridge. What a pretty girl. I'm very sorry for the loss of Bella. I too believe we will see them again. Oh what a happy day that will be. She was met by all our loved ones that have gone on before us. Take care and God bless. Sorry for your loss. Is pancreatitis common in Schnauzers?because my dog had the same thing, she passed June 27th from other health issues but I am sure it was all related. What a beautiful girl she was. I'm so sorry and your story brought tears to my eyes. They never stay with us long enough. I said goodbye on April 27, 2015 to my little 6 yr. old schnauzer, Chloe Marie. She had kidney failure. Her story is also on this blog. It just about was the end of me. I had just lost my 6 yr. old puggle girl a month before. I don't know how we get through but we do. I hope in time that you can think of Bella with a smile rather than tears. I think that we will see them again one day. Sending heartfelt prayers to you. So very sorry to hear about Bella. My heart goes out to you. We lost our Kip CHF in 2016 and I will miss her everyday, she was my child. 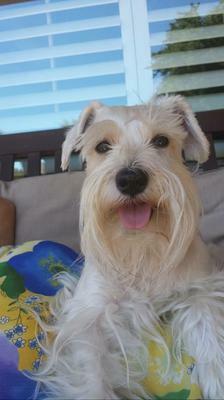 And just recently we had too had to fight pancreatitis in out 11 year old rescue schnauzer, Sam. We were lucky as he is on the road to recovery. The only way I can deal with the heartbreak of losing our fur children is in knowing that WE WILL see them again! What a beauty she was! Im so sorry for your loss, I too recently lost my Dean to kidney disease. 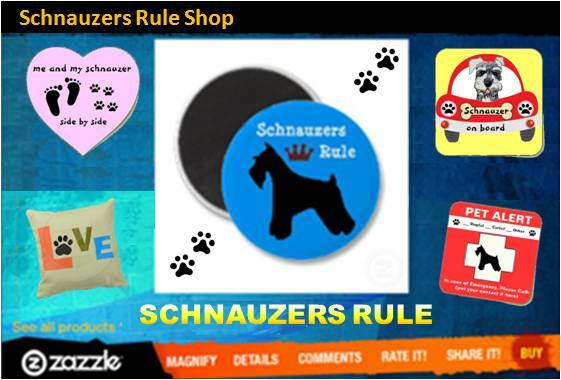 I have always had Schnauzers and always will, They are amazing companions, each with their own funny little quirks and personalities.